A SEO Strategy Created by Dental SEO Experts! Dental Marketing SEO Strategies For Dentists Backed By Quality Content! Search Berg is the preferred choice for online marketing for dentists! We proudly work with numerous medical practitioners working in different states across the United States and around the world. Dentists are some of our more reliable and regular of clients. Dental marketing is something that we have perfected here at Search Berg. 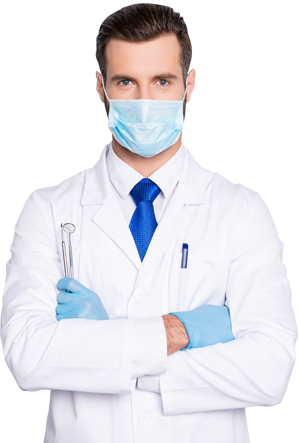 Our SEO services for dentists come with the following benefits. We are so confident that we can deliver quantifiable results to practicing dentists, that we offer a 30-day no hassle money back guarantee. If Search Berg is unable to rank your website in Google, we will refund your retainer no questions asked! It's time to take your dental practice to the next level. Hire dental SEO company, Search Berg! Say Goodbye to Toothless SEO Strategies! Content Driven Dental SEO Company For Your Practice That Delivers All the time, Every Time! Online Marketing for Dentists that Comes with Full Access To The CLIENT DASHBOARD! Bethesda Dental Health hired us for SEO in the summer of 2017. In just 2 months, Search Berg dental SEO experts managed to rank more than a dozen keywords on the first page of Google. They started getting more appointment calls with each passing month. Link building aside, they also loved the content we created for their blog and videos. Now they opening in another city and we will be further diversifying their SEO on a local level. Say Goodbye to Toothless SEO Strategies and Hire Search Berg! Search Berg is a complete Dental Marketing Services provider in the United States. We work with dental practices in New York and surrounding area and also have clients from across the US and all over the world. Our Dental Marketing services included Search Engine Optimization (SEO), Paid Search Marketing (PPC), Social Media Management (SMM), Reputation Management (RM) and also Web Design and Development. With more than 15,000 successfully completed SEO projects, Search Berg has worked on all things SEO and WEB. Dental practices and dentists are some of our main clients that have enjoyed tremendous online growth and revenue. Our dental SEO strategies have not only brought them high rankings and more web traffic, but also new patients for their practice. Search Berg SEO solutions come with a 100% money back guarantee. There are no contractual obligations whatsoever. Our packages are fully customizable. All this is done so that clients can feel comfortable about the work process and gauge us on the results we deliver. Say Goodbye to toothless SEO strategies! Contact Search Berg today by phone or chat or complete the form above and receive a free SEO audit report within minutes.